Since 2014, I have been at the University of Nebraska-Lincoln (UNL) as an Associate Professor of Science Education in the School of Natural Resources, Coordinator of the Institute of Agriculture and Natural Resources‘ (IANR) Science Literacy Initiative, and Director of the Nebraska Collaborative for Food, Energy, & Water Education (NC-FEW). I also hold an appointment in the Department of Teaching, Learning, and Teacher Education (TLTE), College of Education and Human Sciences (CEHS). From 2009-2013, I was an Assistant Professor of Science Education in the University of Iowa College of Education. Between 2004-2009, I was a doctoral student in the University of Michigan School of Education, Dept. of Educational Studies, specializing in science education and a masters student in the School of Natural Resources & Environment. As a doctoral fellow with the NSF-funded Center for Curriculum Materials in Science (CCMS), I worked for Elizabeth A. Davis, Professor of Science Education, on the Curriculum Access System for Elementary Science (CASES) project. 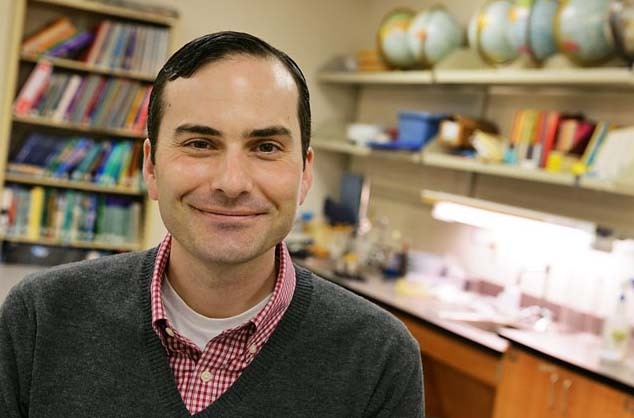 Prior to my arrival at the University of Michigan in 2004, I spent nearly a decade as a student at the University of Kansas and a 9th-grade biology and physical science teacher at Chisholm Trail Junior High School in the Olathe School District. During this time, I worked as a graduate assistant for the Kansas Collaborative for Excellence in Teacher Preparation (KCETP), an NSF-funded initiative focused on science and math teacher education reform.